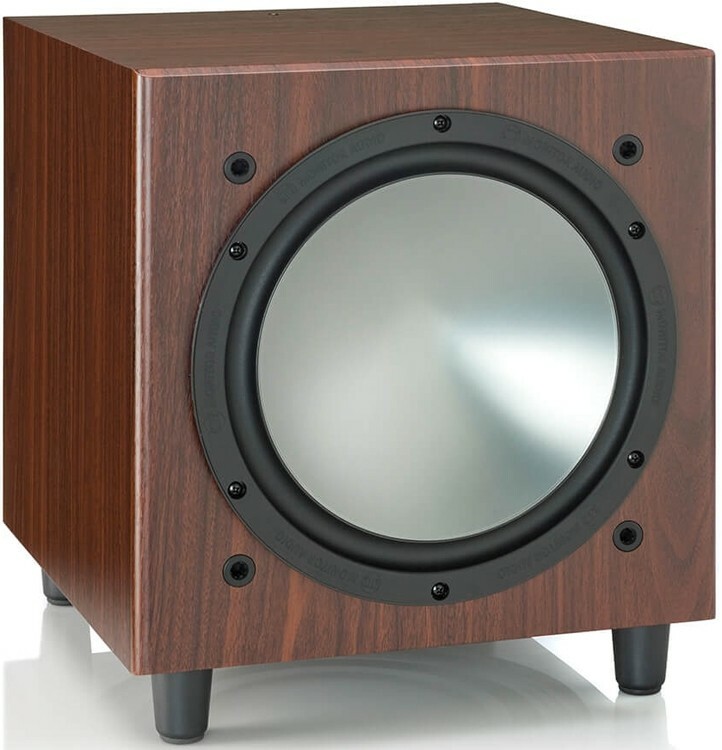 W10 subwoofer matches the speakers in Monitor Audio's Bronze range concentrating all the transparency of the low-distortion design regimen in the bass domain. 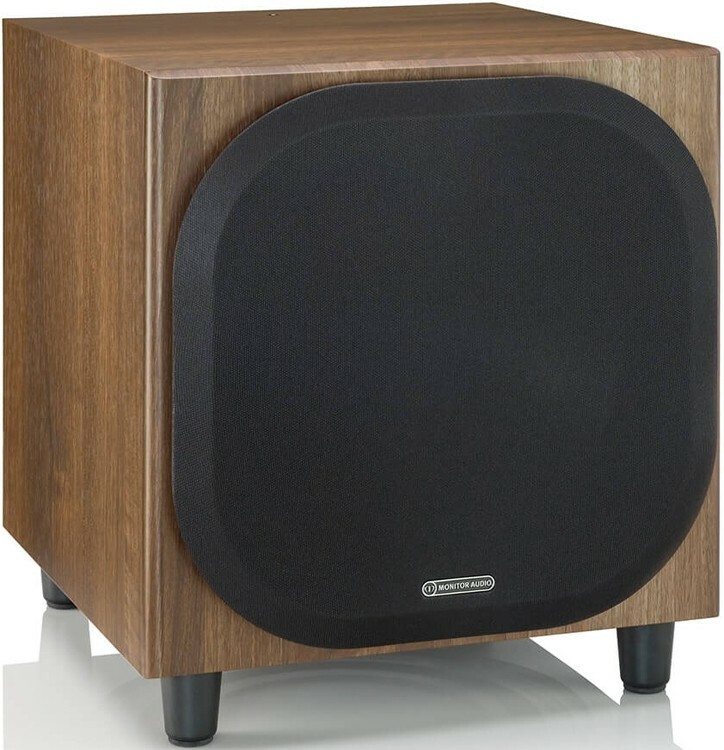 Monitor Audio Bronze W10 subwoofer delivers all the audiophile-like transparency of Bronze’s low-distortion design regimen concentrated in the bass domain. This is Bronze bass, deeply provisioned, naturally proportioned, rebuilt from ground up to punctuate the sound of every Bronze system with natural bass transients, timed to perfection. A down-firing 10" ABR (Auxiliary Bass Radiator) ensure that with the same compact footprint as its predecessor, the W10 delivers an incredible 6dB greater SPL at 40Hz. Bronze W10 subwoofer delivers all the audiophile-like transparency of Bronze’s low-distortion design regimen concentrated in the bass domain. 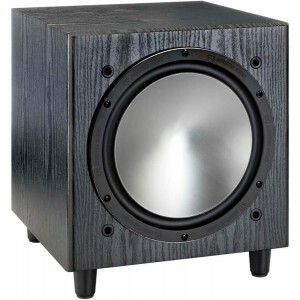 The complex W10 subwoofer is a Bronze original, featuring a unique trinity of uprated amplifier topology, dynamic DSP processing and long-throw driver design. Enhanced switch-mode power conversion methods, custom DSP tuning and a huge power reservoir unite to produce enormous powerful headroom from the Class D power-pack letting the driver play low and hard with no distortion for an authentically sensational profound bass. 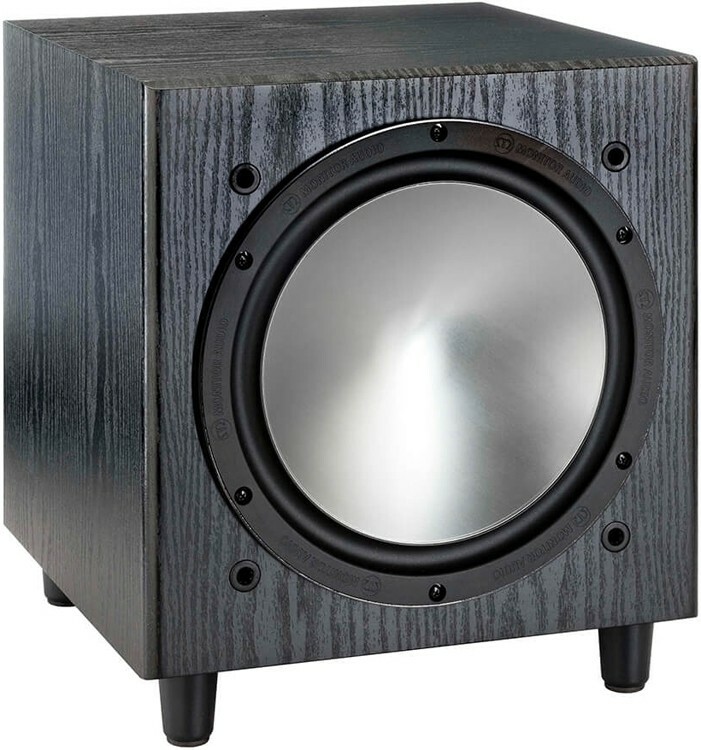 Monitor Audio's exceptional steel-grey C-CAM driver cones combine with the Black Oak, Pearlescent Walnut, Rosemah or White Ash finish for a seamless aesthetic emanating the streamlined sophistication of a premium range which is reinforced by the use of hidden driver fixings and floating magnetic grilles. Drawing on four decades of design legacy that includes elements from the higher-end Platinum, Gold and Silver series, the great value Bronze series produces pure and precise sound transcending the performance that would be expected of speakers at this price point. The sophisticated W10 subwoofer is a Bronze original, featuring an exclusive trinity of uprated amplifier topology, powerful DSP processing and long-throw driver design. Advanced switch-mode power conversion techniques, custom DSP tuning and a massive power reservoir combine to generate enormous dynamic headroom from the Class D power-pack, allowing the driver to drop low and punch hard without distortion for a truly sensational deep bass experience. Monitor Audio's latest entry-level champion moves up a gear from BX and rival budget speakers because new Bronze is simply in a class of its own. For the first time, Monitor Audio use spectacular steel-grey C-CAM driver cones for a seamless blend with finishes, available in a choice of Black Oak, Pearlescent Walnut, Rosemah and a new White Ash. Invisible driver fixings and floating magnetic grilles add to the impression of streamlined sophistication, lending new Bronze the look and feel of a premium range. 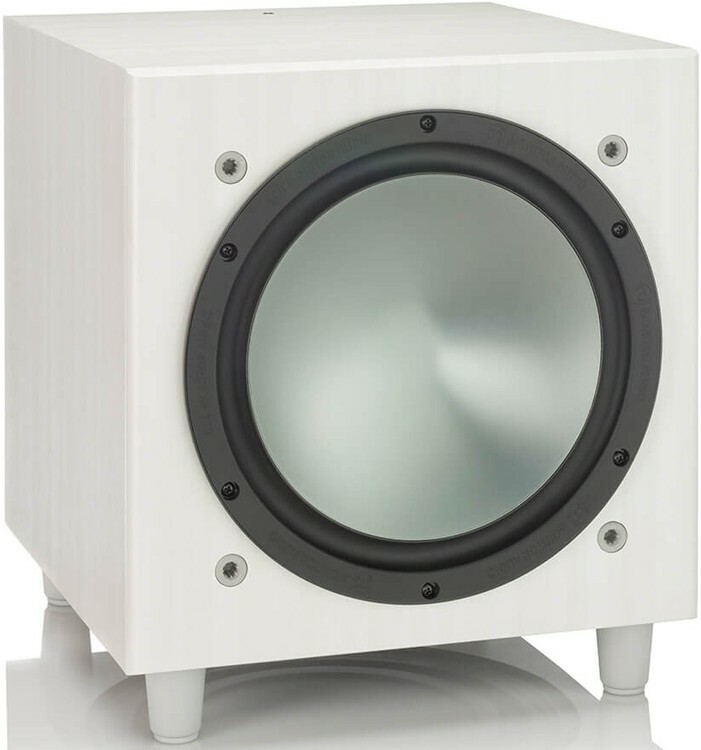 Purity and precision, Monitor Audio's most democratically priced speaker line has everything to gain from Monitor Audio’s dynamic forty-year design heritage. Enriched as it is with elements of Platinum, Gold and Silver, the brilliant Bronze series will transcend the expectations of its price class and eclipse even its venerated multi-award winning predecessor Bronze BX.